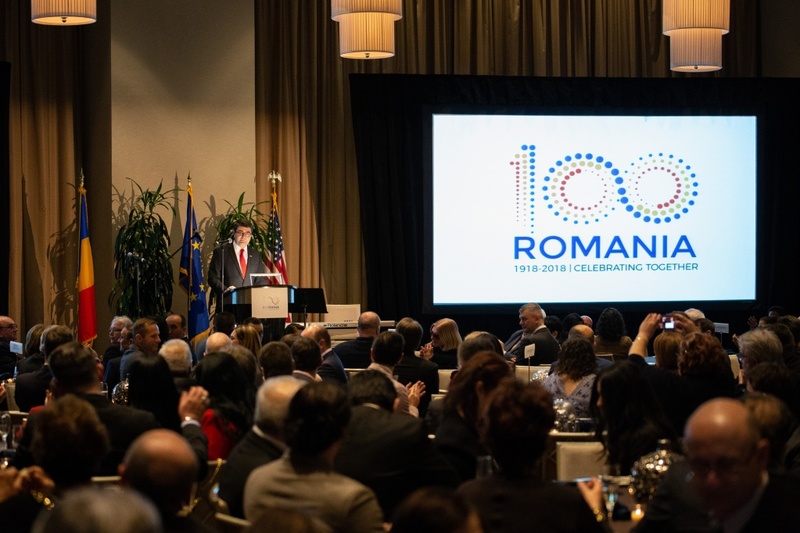 In another apparent example of a foreign government paying to hold an event at a property that President Trump still profits from, the Consulate General of Romania in Chicago celebrated Romania’s centennial Great Union Day at the Trump International Hotel & Tower in Chicago last month, a news posting on the embassy’s website shows. Payments to the hotel related to the event result in personal income for President Trump, who still owns and profits from his businesses. Payments from foreign governments to the president are prohibited by the foreign emoluments clause of the Constitution, and comments like the Philippine ambassador’s raise additional concerns about whether foreign governments are seeking to ingratiate themselves with the Trump administration by patronizing the president’s properties. Romania’s event was held on November 29th in the Trump hotel’s Grand Ballroom. It was attended by more than 300 people, including Romanian and Illinois state officials. The Dutch Consul General in Chicago also attended the event, according to a tweet. Romanian Consul General Tiberiu Trifan spoke at the event in front of Romanian, American, and European Union flags. Having the event in President Trump’s hotel is a shift from recent years. In both 2017 and 2016, the consulate hosted its Great Union Day celebration at the Preston Bradley Hall of the Chicago Cultural Center. During Mr. Trifan’s speech, a proclamation by Illinois Governor Bruce Rauner acknowledging the celebration was projected onto the stage. Chicago Mayor Rahm Emanuel and Illinois Attorney General Lisa Madigan also gave “greetings and thanks” at the event, according to the news posting, which doesn’t specify how these were made. The Chicago event was one of many taking place in at least four U.S. cities and across the world. While the Romanian Consulate General does not explicitly say who paid for the event, it identifies itself as the organizer. If the Romanian government did in fact pay for the event, those payments likely violate the law. A federal judge ruled in July that payments to President Trump through his businesses are the types of foreign emoluments the Constitution prohibits.